A good user experience (UX) can turn users and visitors into customers and can help increase the fame and renown of a business among users, distinguishing it from its competitors. In contrast, a bad or an ill-thought UX might very easily lead to the loss of users and customers alike, as they would readily abandon the software for other programs that are more user friendly. Therefore it is important to make a lasting impression on the user during his or her first use of a software program or website, ensuring satisfaction and pleasure and improving the chances for that user to return. One of the best and most comprehensive definitions of UX has been issued by professor Marc Hassenzahl, a professor in Experience and Internation at the Flokwang University of Arts in Essen: “UX is not about good industrial design, multi-touch, or fancy interfaces. It’s about transcending the material. 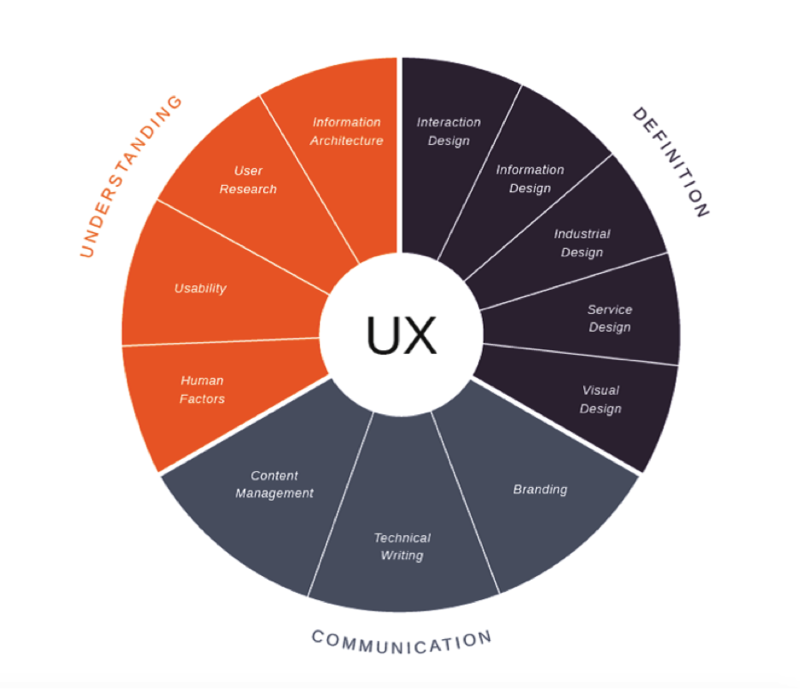 It is about creating an experience through a device.” UX means more than mere visual experience, it means the overall experience that can be offered to the user while he or she interacts with a product. Within the field of software testing, especially in front-end testing, alongside the required skills (e.g. creativity, effective communication, goal-orientation), the QA Engineer has to exhibit what is called the ‘customer-focused vision’. To expand on this, a QA Engineer has to apply and work on the key elements of UX in his activity, elements that could drastically change a modest software program into a highly desirable, even essential one. Negative (the user encountered websites that did not fit his or her needs or desires, or was disappointed with a product that did not deliver the promised features). Neutral (the user neither was satisfied, nor was the product too disappointing, as it managed to provide some of the desired features or solutions to the needs of the user). Positive (the product managed to satisfy the demands and needs of the user, and the user benefited from a good experience and his or her needs were tended to). Strategy refers to both setting business goals as well as setting user needs. Among the business goals, a balance has to be found between product objectives, as these need to be neither too specific, nor too general, in order to easily see what that product aims to offer. Furthermore, the brand’s identity needs to be considered, and has to be reflected in the product’s aspect and in how the product manages to convey the brand’s reputation (quality of user content, product quality). An emphasis must also be placed on the user’s needs (this is often considered the foundation of good UX), thus sending the message that the product was not “designed for ourselves” but according to the user’s needs. As for how we know what the user needs? We do this through demographic and psychographic studies, the latter being especially important in knowing the user. Through proper demographic and psychographic examination we can create a persona that the users feel comfortable in approaching, that ever-sought after “persona is a written representation of your website’s intended users” (usability.gov). For QA, the persona can be leveraged during the testing phase, for a good understanding of the software product. This way, we the firms that eventually obtain our software can answer “yes” to the question of whether or not the software is desirable, accessible, credible, findable, usable, useful and/or valuable. Unlike strategy (which is a fairly abstract phase), scope is a bit more concrete as far as UX elements go. Scope covers functional specifications and content requirements, meaning that “scope” must answer the question of what features should be included in our site and, perhaps more importantly, what are we creating? Will the included elements be valuable to the user? Will they answer the user’s questions? Their needs? Once these questions are answered, all things defined here will be ready to be prioritized, thus avoiding the inclusion of low-impact elements while making certain that those with high chance to impact the experience significantly do not get overlooked. To elaborate, let’s say we have an application, called X, which suffers from some problems of design overlap, problems minor enough that they would not bother the user. However, some interactive elements don’t work as they should (e.g. shopping cart buttons being unresponsive). What will we prioritize? The design issues or the functionality problems? If strategy was the base of the pyramid and scope was the layer immediately above it, structure is the middle segment. To solve the matter of structure is to answer the question of “How will the pieces of the site fit together and behave?” To give a good answer, two elements need to be well balanced: interaction design and information architecture. The former (IxD) means that the website has to be consistent, predictable, learnable, visible and able to take in feedback. The latter (information architecture, IA) means that the website has to possess the following traits: findability, accessibility, usefulness, credibility, controllability, clarity, value, learnability and delightfulness. If any one of these principles is overlooked, the end result will fall short of user expectations. The list may seem obvious at first glance, composed of things that “everyone knows” but some many of these traits are lacking from a fair number of final products, which leave the user lost due to too much clutter or incapable of finding what they need. The penultimate element in a successful UX, the skeleton of a website is the part that deals with interface design (ID) and navigation design (ND). Deciding ID means deciding the final form and arrangement of a page’s elements. The goal here is to make it easy for the user to interact with the content without necessitating complex guidelines. ND is just as or perhaps even more important, since it is comparable to “laying the foundation for your house. Failure to plan your foundation properly could put your building at risk of collapse, regardless of how nice it looks.” (Ryan Gittings, “3 Essential rules for effective navigation design”). 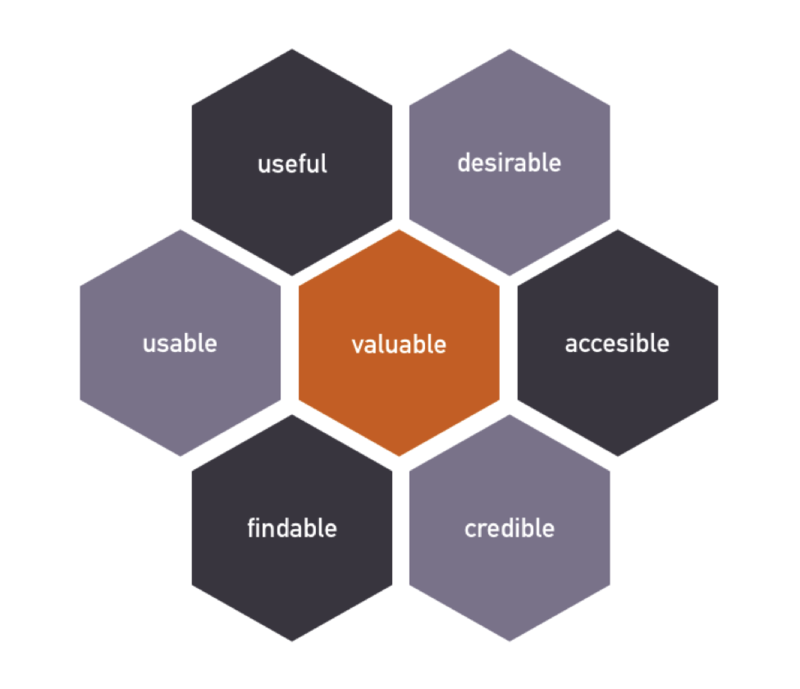 This is the tip of the pyramid for ensuring a good user experience for a website. The “surface” is all about making sense of the senses. This is the stage where the final touches are made on a product, like colors, typographical elements, ads, etc. It is also the point where user guides are put together (provided the “skeleton” stage could not completely do away with the need for such things for the website or arts of it). Intuitive transmission of learning and information has to be kept at the forefront of the web designer’s mind here. Thus, the surface stage is commonly taken slowly, to ensure that all is set for the next steps in ensuring a good UX.